Showcasing local producers, ingredients and restaurants. The Shop Local Challenge, now two years old, was designed for bloggers from around the world to showcase ingredients and/or producers local to them by sharing recipes they’ve made using local produce. August’s #ShopLocalChallenge round up features some gorgeous summer recipes from birthday cake to succotash, so feast your eyes on this month’s Shop Local Challenge table! 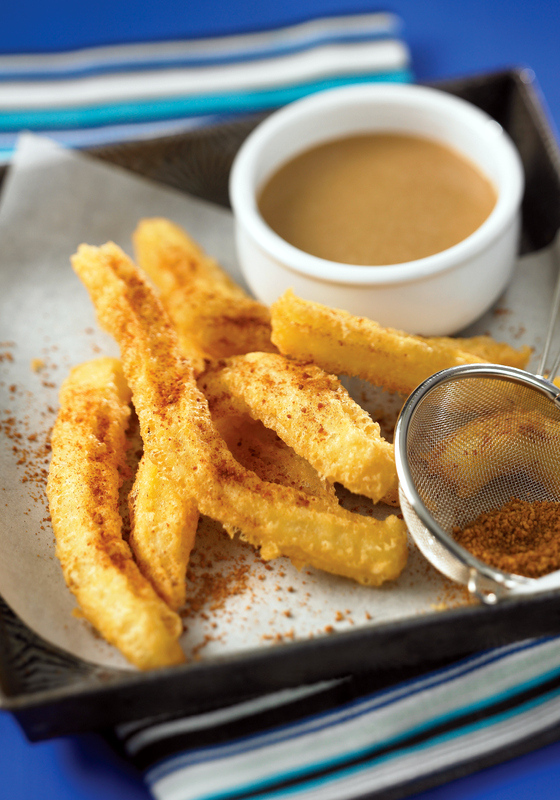 First up we have these gorgeous churros with cinnamon sugar by The Taste Space taken from the Vegan Everyday recipe book by Douglas McNish. Janet enjoyed these churros at a local pop-up restaurant event near to her by a local chef, and the book publisher (also local to her) has kindly agreed to let her reproduce the recipe. 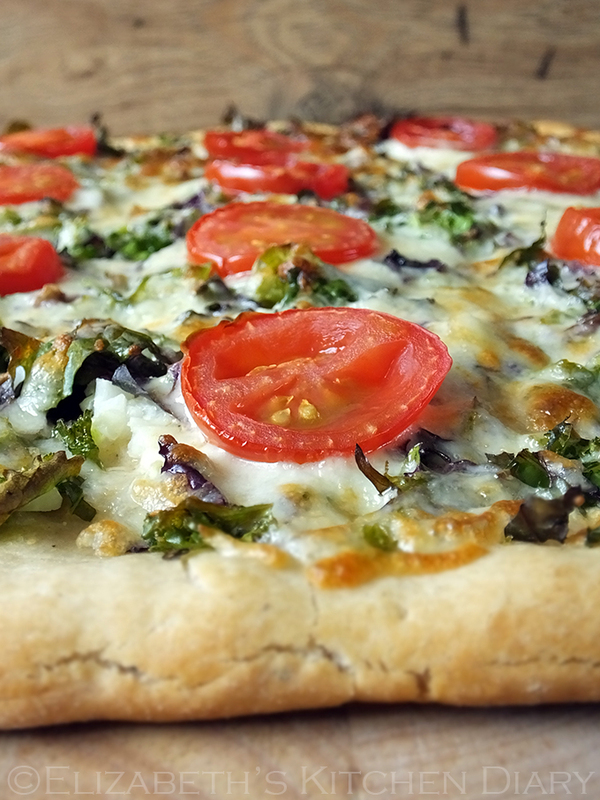 This garlic and kale pizza is my own entry for this month’s #shoplocalchallenge. It’s packed full of local, organically grown vegetables sourced from my weekly veg box grown just a few miles down the road from me. Perfect for garlic and kale lovers! 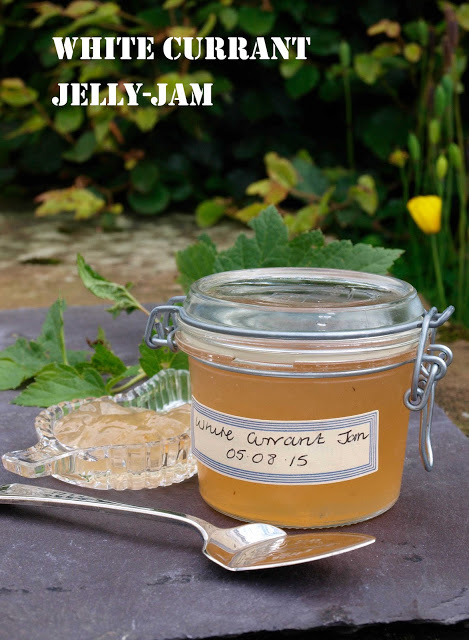 Janice over at Farmersgirl Kitchen in Scotland utilises some white currants brought into her workplace by a work colleague to make this white currant jelly/jam. It’s half jelly and half jam and it’s utterly gorgeous! Look at that colour! Shaheen over at Allotment 2 Kitchen shares two recipes with us this month. 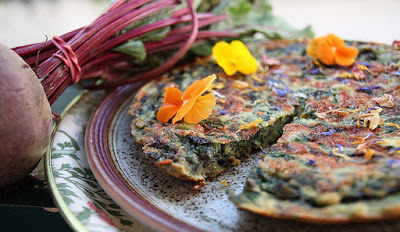 First, she transforms some freshly picked beetroot leaf purchased from a grocery van on the high street where she works into a gorgeous Beetroot Leaf Kookoo Kuku, a type of Persian omelette. Shaheen served her omelette in pitta pockets for lunch. Nothing beats the taste of freshly harvested vegetables! 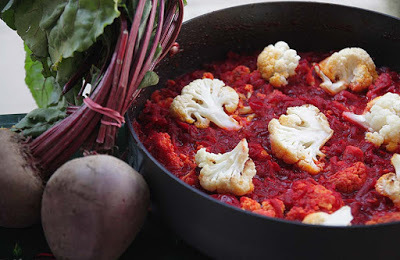 Secondly, Shaheen uses the beetroot itself in a lovely Roasted Cauliflower, Beetroot and Paneer Curry with Nigella Seeds. Just look at that rich shade of red! Stunning! 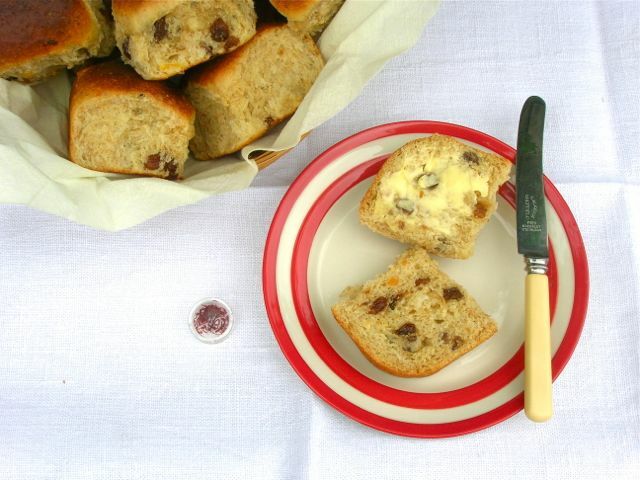 Down in Cornwall, over at Tin & Thyme, Choclette uses locally sourced yeast and flour to make some Liskeard Buns, a traditional Cornish saffron bun which used to be handed out to children at a yearly fair by the mayor. Choclette describes these as a fruity yeasted bun, lightly spiced with saffron. Delicious with butter, either warm from the oven, cold or toasted. 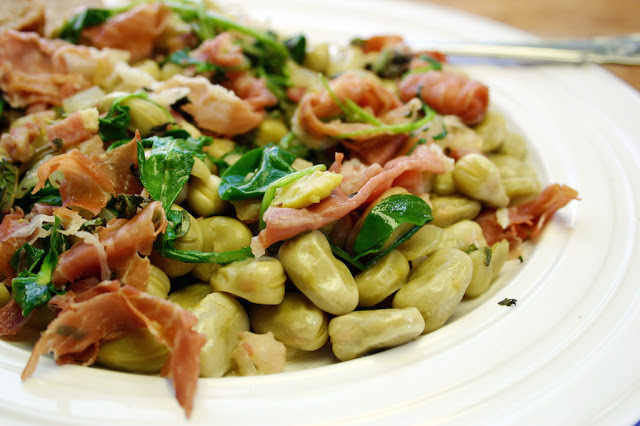 Dom over at Belleau Kitchen whips up a summer inspired dish of habas con jamon, broad beans with ham. Although his house in Lincolnshire is surrounded in fields growing broad beans, he couldn’t source any locally grown ones so he picked up a tin from his local co-operative and used that instead. The meal still turned out delicious, he says! 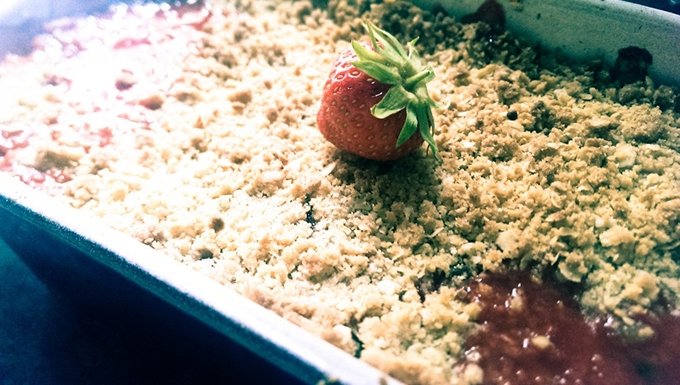 Fresh strawberries picked from a PIY farm on the outskirts of York make this Strawberry Fields Crumble a perfect summer pudding. Have you ever picked your own fruit? There’s something intensely satisfying with picking your own. 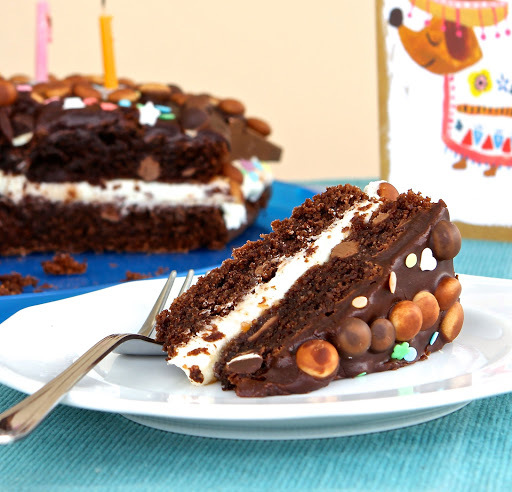 Kate, the Gluten Free Alchemist, works her magic again this month with another gorgeous gluten free creation – a Holiday Happy Birthday chocolate cake! Made with ingredients sourced locally to her while on holiday in Greece this cake when down an absolute treat with her ten year old daughter! Last up this month Helen over at Family, Friends, Food creates a summer vegetable succotash using vegetables from her own back garden! You can’t get any more local than that! A great big thank you to everyone who linked up this month. Without you this challenge wouldn’t exist! 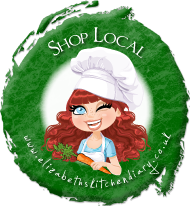 If you have created a recipe using local ingredients do consider linking up. You can find the rules over on the official Shop Local Challenge page. All entries are stumbled, pinned and shared on Twitter as well as being included in a full round up at the end of each month. As always, a fantastic round up Elizabeth. Beautiful recipes and beautiful pictures. Your Kale pizza looks absolutely stunning. A perfect dish! Your Garlic & Kale Pizza looks fantastic. Definately going to give that a try. I must remember about this challenge as I regularly use local ingreedients. Will try and link up this mornth! I wish I could say I shop local. Truth is I don’t – unless I am in Greece and then it is local all the way. An inspiring bunch of recipes as always. This sounds like a brilliant idea and the pizza looks yummy! All that food looks amazing! Especially the pizza and strawberry fields crumble! That garlic and kale pizza looks amazing and I have never tried churros before!